Written for dealership mechanics, this wiring diagram shows you how to follow the wiring from bumper-to-bumper. It will help you understand connector configurations, and locate and identify circuits, relays, and grounds. You will not find these wiring diagrams in the factory shop manual. Wiring diagrams are black and white, but they frequently have color codes printed on each line of the diagram that represents a wire. 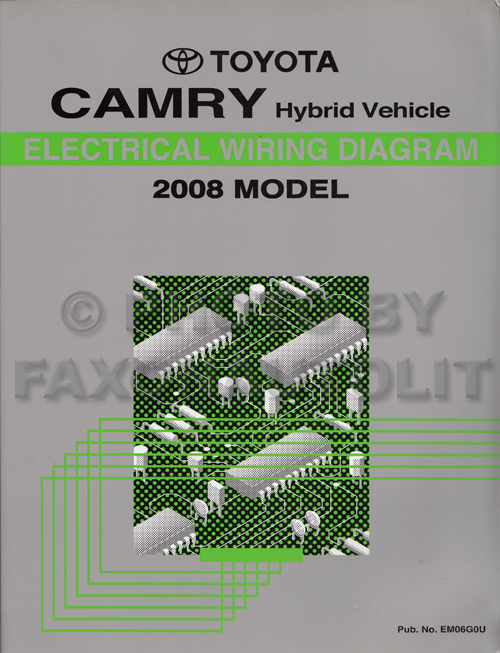 "Toyota Camry Electrical Wiring Diagram 2008 Model"